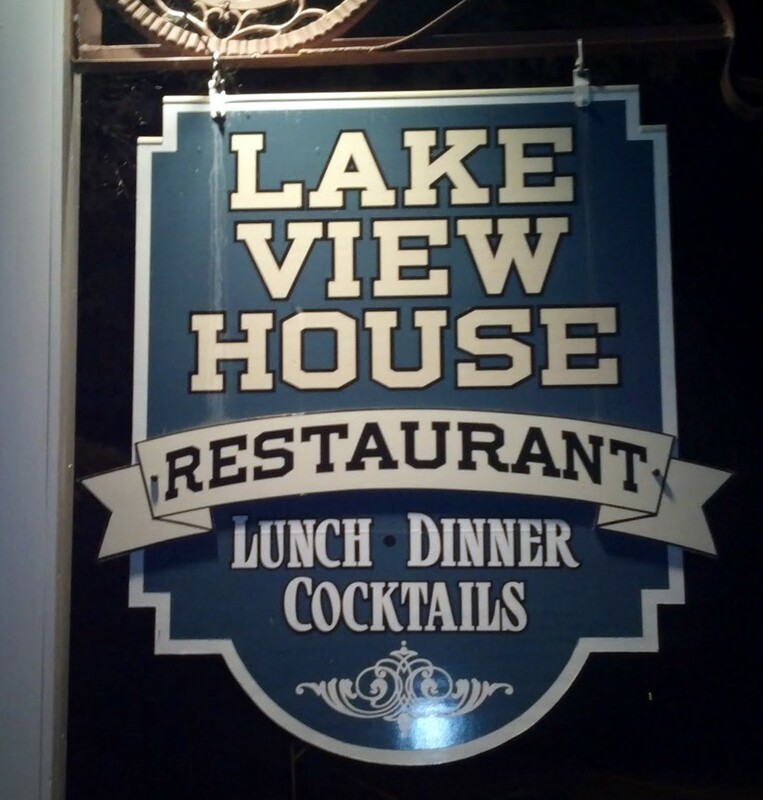 The Lakeview House Restaurant sits on the eastern shore of Orange Lake, a 400 acre lake just west of Newburgh, NY, off of Route 52. It is a picturesque setting; it reminds me of many of the waterfront eateries I frequented growing up on Long Island, especially if you could throw in some salt spray and a few seagulls. There is a wonderful sense of history here, starting with the lake itself, which was quite the resort destination a century ago. The Great Depression saw the end of the amusement park that was located here, but the Lakeview House lives on. There is quite a bit of local restaurant lore here too. You can sense it as soon as you pull up a stool at the bar. 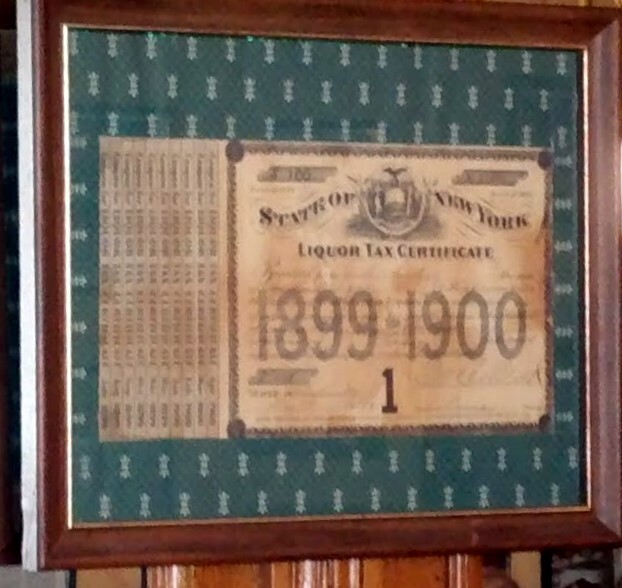 A beauty of a bar it is, with a carved golden oak back bar sporting a framed liquor license dated 1899 – 1900, the very first issued in the county. There’s even more history in the kitchen. The chef is one James Carter, who runs the place with his wife Tori. I have been a fan of Chef Carter since his days in the kitchen at Ward’s Bridge Inn in Montgomery, NY in the 1980’s. Ward’s Bridge Inn, long shuttered, still remains atop my list of all time favorite local restaurants. Jim also spent time with Paul Benson, of Benson’s Ireland Corners’ fame, before buying the Lakeview House. When we stopped in for dinner a few weeks ago, he was assisted in the kitchen by none other than Urs Reist, who owned the Swiss Country Inn in Gardiner, another one of our favorite Wednesday night haunts from years gone by. The Lakeview House is very much a “local” destination. The rest of the crowd at the bar were obviously regulars, all on a first name basis with our new favorite bartender, Sonia, who is also a Benson’s alum. Jim’s wife Tori runs the dining room, and greeted her own share of locals as the dinner crowd arrived, all with their own regular tables at the windows overlooking the lake. Interlopers that we were, we were relegated to a second row four-top in the front dining room. (We had also neglected to make a reservation for dinner, duh.) Some renovations since our last visit were in evidence in the dining room, which sported new floor to ceiling picture windows overlooking the water, and a new covered outdoor dining patio. The menu at Lakeview House adds a few new twists to old standards. There are lots of steaks and chops and pastas. Roast Long Island duckling ($18.95) is offered with daily choices of fruit sauces; the requisite salmon filet ($18.95) is finished with sesame and soy. The steaks are always solid – choices include an over-sized filet mignon ($28.95) and three cuts of NY sirloin. If you can’t decide, there’s a mixed grill ($31.95) which combines a filet, lamb chops and grilled shrimp. It is a classic meat and potatoes menu, with nary a salad offering to be found, save the dinner salad (tossed greens, cucumber slices, and grated carrots) that is included with your entree. We started with apps, all of which were very nicely done. My Shrimp Lamaize ($9.95), a holdover from Chef Carter’s Ward’s Bridge Inn days, wraps horseradish laced baked shrimp with bacon, and they are as tasty as ever. The Oysters Rockefeller ($7.95) is another old standard, topped with sauteed spinach and gruyere cheese. Escargot au Provence ($8.95) tops the garlicky Pernot infused butter sauce with a very un-Provencal like pecorino sheep’s milk cheese, with surprisingly good results for the snails. Chicken Scarpariello is another dish that was lost in translation, but still turns out quite tasty. Scarpariello or “shoemaker’s pasta” traditionally uses a pan sauce of garlic sausage, vinegar, and pickled hot cherry peppers. The kitchen here adds hot sausage and broccoli rabe with delicious results. The sauce is most worthy of mopping up with a small piece of crusty bread (shaped like a small shoe) – “fare la scarpetta” in Italian. Buon appetito! If you have not yet tried the Lakeview House Restaurant, it is well worth a visit; the place should not be left to be enjoyed just by the locals! The setting is most picturesque and the atmosphere comfortable and casual – you’ll find more pick ups than BMW’s in the parking lot. The very capable kitchen has been playing the old standards for decades and they are still most enjoyable.